From car stereos to car rims, our car parts & accessories store offers all essential auto parts for the greater Los Angeles and Orange County area with no credit check financing! We're an authorized dealer for several car stereo brands, such as Sony, Alpine, Pioneer, and several others. Through our experienced mechanics, we offer complete car stereo installation. 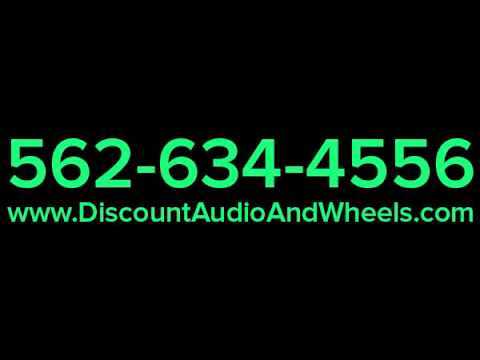 To make sure your car audio sounds the best at the appropriate budget, Discount Audio & Wheels is the place to be! Our services for window tinting, wheel rims, vinyl wraps, and car security installation are of premium quality. Our customization services aren't just limited with cars; we work with trucks, boats, motorcycles, and RV's. Here, we provide no credit check financing! To make sure you can customize your vehicle, call today to learn more!